SK-II's signature product, the Facial Treatment Essence has always been a must-have skincare for me. If you have ever asked for a skincare recommendation from me, here's one you should try out. Never fail to clear out, hydrate my skin, boost my skin's texture, radiance and firmness. Just perfection. Crystal clear skin is possible with SK-II Facial Treatment Essence. This season, the change destiny limited edition facial treatment essence bottle is definitely the prettiest bottle ever. So, if you have never tried SK-II FTE before, then this is the right time to, so you don't miss out the pretty design. 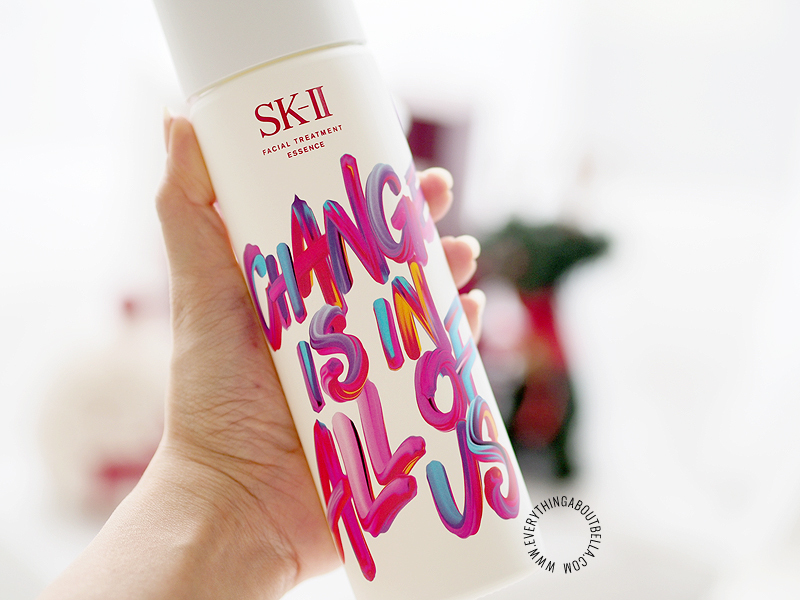 Or, if you have been using SK-II FTE, you definitely do not want to miss this change destiny limited edition bottle. These limited edition design also remind me that everyone can be whoever, whatever we want to be and that the choice is all in our hands. Never let others' opinions determine your life. Change is in all of us, Destiny is a matter of choice, Be the person you decide to be. Declare your statement with your own change destiny bottle.